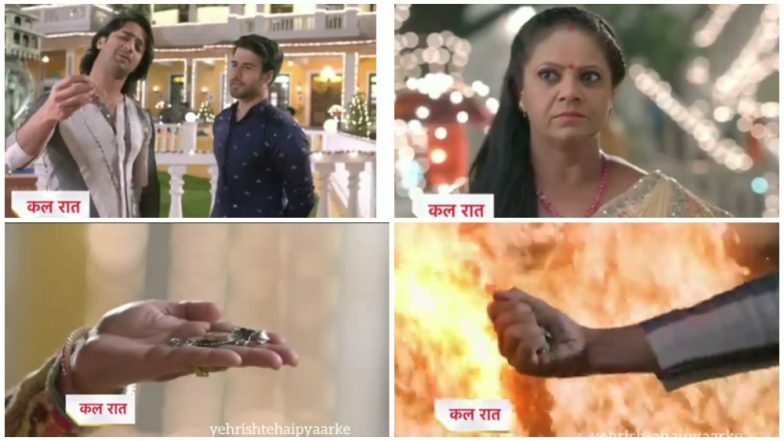 Yeh Rishtey Hain Pyaar Ke March 21, 2019 Written Update Full Episode: Kunal-Abir and Kuhu-Mishti’s Families Want To Get Them Married! There Rajshree is shocked to hear Naman’s voice and tells him she will send him the money and he should not call again. Naman says that he wants more money or else he will take his daughter with him and keeps the phone. Mishti sees Naman and gets emotional seeing him. Naman acts as if he really misses her and wants her back and hugs her and says he missed her very much. Mishti asks why has he come back after so many years and says now it is too late. They both argue with each other, Mishti says that he missed him but now they are her family and goes from there. Dadaji is asking Abir why he fights with Meenakshi all the time. Abir says he is always with right and Meenakshi wants everything her way and that he does not like it. Dadaji tries to tell him that he should get married, but Abir says he does not want to marry now. There Mishki and Kuhu perform (Piya piya o piya piya track is played in the background), all are happy to see them dance together and enjoy. Varsha becomes emotional seeing them dance, Rajshree say that it is time that Mishti and Kuhu also get married and clicks a photo of them. Just then Naman sends a photo of Mishti and his, Rajshree gets tensed seeing it. Abir asks Kunal, why should they enjoy as Ketki got manipulated and got ready for the marriage, but Kunal says that she herself agreed and Meenakshi did not do anything. Seeing them together Meenakshi is happy and is scared because of Abir’s nature. Just then Dadaji comes and says that her nature is same as Abir. Meenakshi says that if she gets good girls then she promises that she will get both married in the same mandap. In the precap, Kunal asks Abir does he know the girl who he met in the fort.